You are buying VetriScience Canine Glyco Flex Stage 3 Chewable Tablets 120ct, model #0900887120 at ADW Diabetes, we offer a wide range of pet dietary supplements geared towards helping your pet achieve optimum health. We offer these supplements in both single and discounted bulk packs with the goal of helping you save even more. Shop with ADW Diabetes for all of your pet health supplement needs. 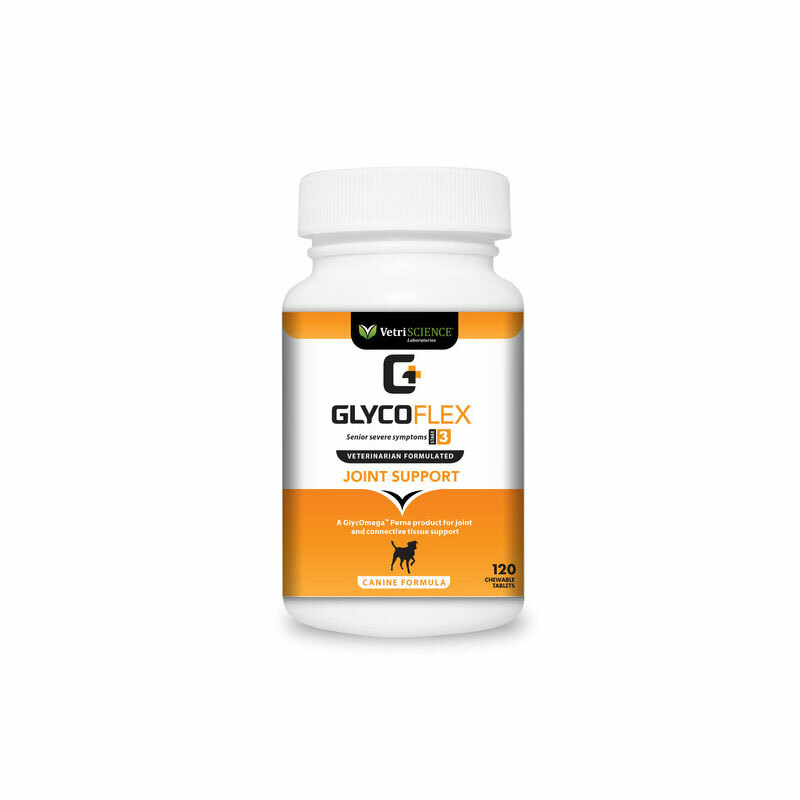 The VetriScience Canine Glyco Flex Stage 3 Chewable Tablets 120ct is designed for serious joint support. It represents the third stage in our comprehensive life stages joint support program for dogs, and is recommended for dogs in need of maximum joint support. It is also recommended by veterinarians for geriatric and working dogs and as a follow-up to support normal recovery after orthopedic surgery. This formula contains higher levels of glucosamine, MSM, manganese, and DMG, and includes grape seed extract and L-glutathione for added support. This product is available in palatable, chicken-flavored chewable tablets. Ingredients: brewers yeast, cellulose, dicalcium phosphate, natural imitation roast chicken flavor, silicon dioxide, stearic acid.